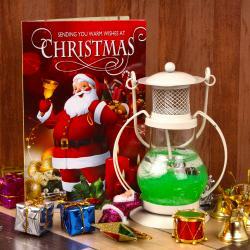 Product Consist : Single Designer Candle along with Cute Santa Face Hanging. 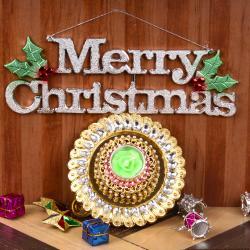 Giftacrossindia has presented a very simple yet very pleasant gift hamper that is sure to enthrall your loved ones and family on Christmas. 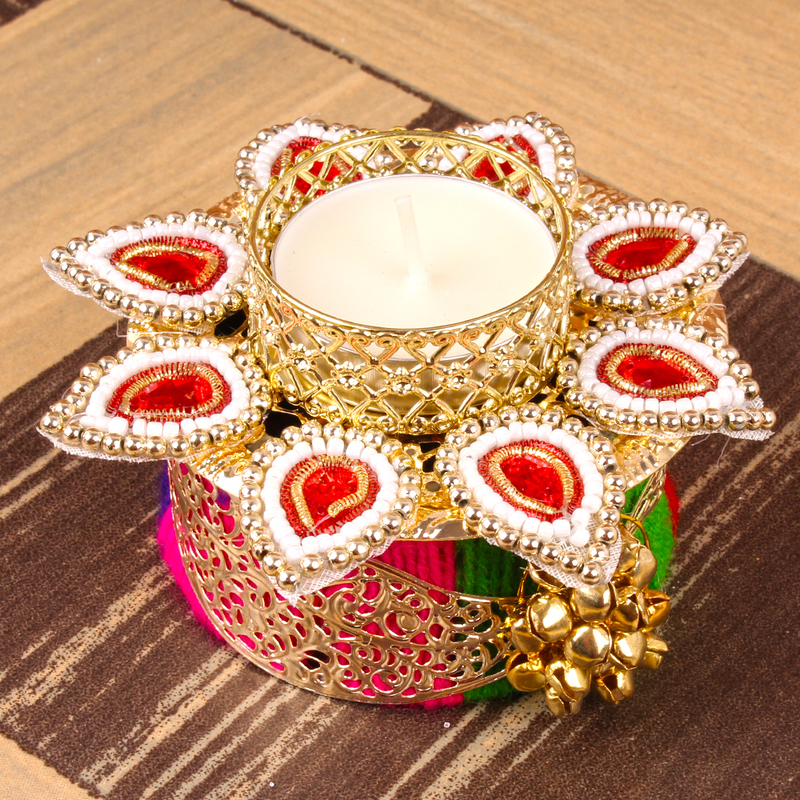 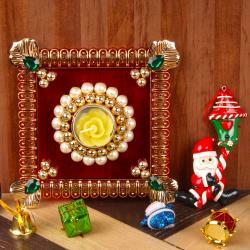 Express your affection towards your dear one by gifting her or him this delightful gift hamper. 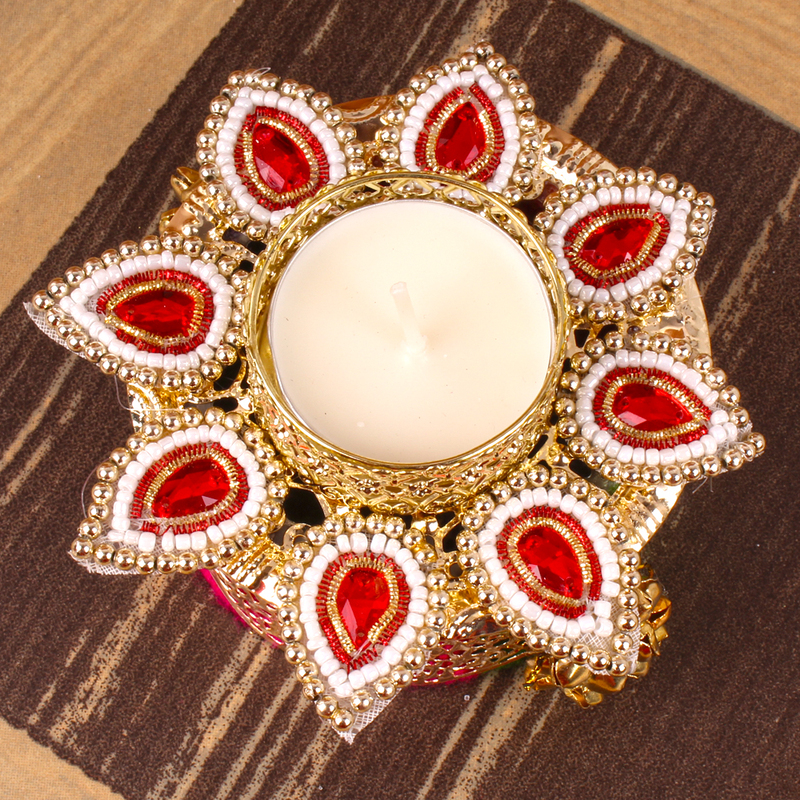 The Christmas ideal hamper containing special colorful designer candle filled with tea light with the cute santa face hanging. 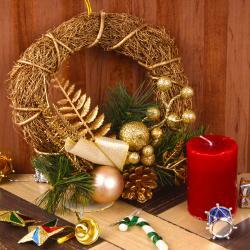 Santa face will very attractive at your home while hanging on the lovely christmas occasion. 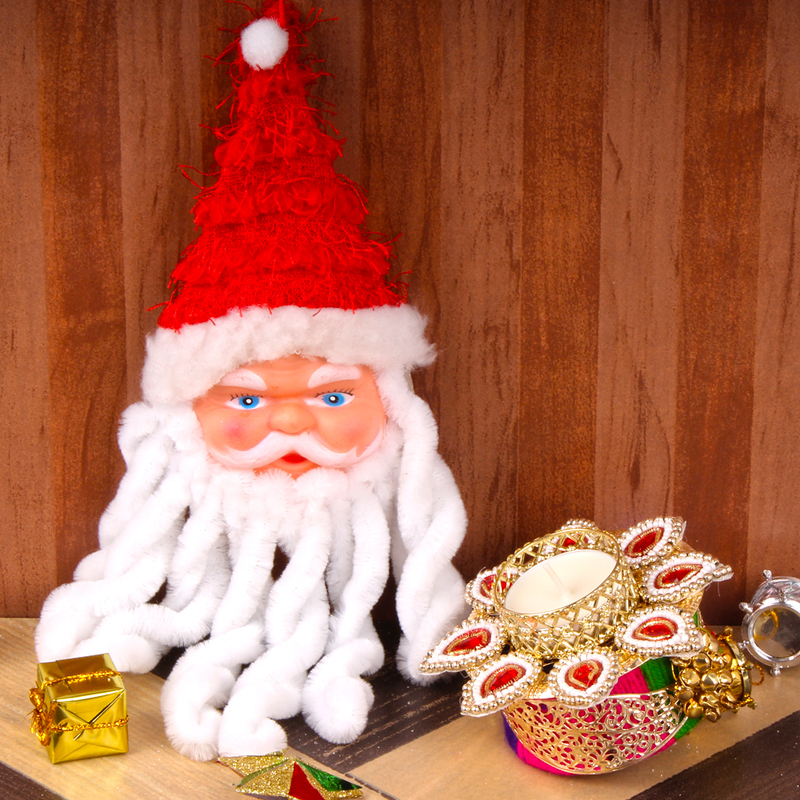 Product Consist : Single Designer Candle along with Cute Santa Face Hanging.